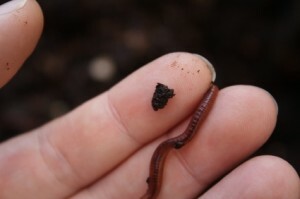 Buy Worms for Composting - Red Wiggler worms and Nightcrawlers from GardenWorms.com. Trying to find an article? Gardening: Is horticultural therapy effective? Residential compost – Get paid for composting! When the summer term is over, you’re surely bound to rack up a lot of the previous seasons refuse. Summer has just ended, and in a few months, winter will be coming in. Gardening during the fall period actually presents the most perfect weather; as it is also the perfect time to plant trees and other foliage. So maximize what gardening in the fall may bring forth by reading the helpful tips from this page. One of the things that you should look out for when gardening during autumn is the condition of your plants. One of the garden tips for fall, especially if you’ve already planted evergreens or perennials, is to ensure that these plants are well watered. You’ll have to take this into consideration since you’ll also need to prepare the foliage for the winter period. In this manner, the moisture will be well retained (also goes in preparation for drying wind spells). Now, also make sure that by watering amply, you’ll also have to allow for it to drain away. Winter may come as a destructive season. It may cause everything that surrounds you to get frozen in just a short period of time. So when autumn comes, you’re given the chance to prepare your plants for the forthcoming term. So even if you’re into fruit or vegetable gardening, make sure that you plant only shrubs and root trees that are bare. This helps the foliage to set well into the soil. Now, should you happen to have a few terra pots in your plot, make sure to also have these relocated in a more warmer place. This material actually has a tendency to soften when exposed to colder temperatures. You will need to measure the root ball by width and depth, particularly when planting bare plants. Also make sure that a hole has been already dug. Now, the hole should be a little bigger than your acquired dimensions since it will help with the eventual growth of the plants. Restricting the plant the space to grow will only result for its roots to become bound. Moreover, planting in loose soil also helps the plants, as well as providing it with compost to further enhance their development (you may put some compost at the bottom and top of the hole). You can use the ones being produced by worm composting worms (also referred to as compost worms), or just plain compost, or mulch. Aside from watering your grass and plants during your fall gardening, you should also cut the grass and maintain the lawn. It’s also advisable to rake off all of the leaves and other dead foliage from your lawn right away, as these may leave some damages later on (plants and roots may rot). Get the ‘work and pleasures of the season’ by getting more autumn tips at Ilona’s garden. Get advice on how to tend to your garden during the fall, and get to know the best months for planting your favorite florae. To know more about the website, check Ilona’s Garden here. Winter may come as a destructive season. It may cause everything that surrounds you to get frozen in just a short period of time. So when autumn comes, you’re given the chance to prepare your plants for the forthcoming term. So even if you’re into fruit or vegetable gardening, make sure that you plant only shrubs and root trees that are bare. This helps the foliage to set well into the soil. Now, should you happen to have a few terra pots in your plot, make sure to also have these relocated in a warmer place. This material actually has a tendency to soften when exposed to colder temperatures. You will need to measure the root ball by width and depth, particularly when planting bare plants. Also make sure that a hole has been already dug. Now, the hole should be a little bigger than your acquired dimensions since it will help with the eventual growth of the plants. Restricting the plant the space to grow will only result for its roots to become bound. Moreover, planting in loose soil also helps the plants, as well as providing it with compost to further enhance their development (you may put some compost at the bottom and top of the hole). You can use the ones being produced by vermicomposting worms, or just plain compost, or mulch. To be frank, there are four very real facts that should drive anyone away from the harmful-if-colorful chemical fertilizers when the time comes to feed their lawn. Compost is organic so it won’t burn your grass if you accidentally apply too much at one time. Compost is organic so it won’t stain your driveway or brick work that borders your lawn. Compost is organic so it won’t give off a chemical smell. Compost is organic so it is easily, and naturally, absorbed into the soil to feed your lawn quickly. Now back away from the pink or blue bags and get to composting. How about considering worm composting as part of your yard care alternatives? It sounds good right? Instead of you spending much money for commercial fertilizers, you can already save by resorting to this alternative. What else aside from being cost effective? Simply put, organic composting is undoubtedly health wise. There can be no better way to handle your garden than by going organic. What’s the first yard care alternative that you must put in mind? It is establishing a healthy soil for your plants. This is not a difficult task. You would only need red wiggler worms or red worms for you to have successful and productive compost. These worms are highly recommended when doing worm composting because they process wastes as much as their weight. So once the process is done and you already have your vermicompost, you are already sure to have a healthy garden although you should be careful in choosing the right composting worms. If you don’t have, then buy earthworms whose kind is also red worm. After having the compost, mulch at least 3-5 inches of it. This will provide protection to your plants by preventing weeds. We understand that you may really be worried about your plants especially when weeds begin to grow and when pests and insects begin to ruin what you have worked for. In situations when you see pests in the leaves of your plant, what do you normally do? Do you get your pesticide inside your home and immediately spray it to your garden? It’s actually wrong. Often times, physical remedies are also important and should always be taken into consideration. You may want to try removing the pest first with your hands to keep it from damaging your plant. You can also use organic pesticides, traps or fabric row covers as preventive measures for pests. And when you reach the point that you would really need insecticides and pesticides, choose the product that would not kill even the beneficial insects. Be wise; choose the least toxic products. Get the one that would not endanger your garden, your environment and most especially your health. When watering your plants, do not over do it. To prevent evaporation, you should only water it early in the morning or in the evening. Also, use water timers so that you provide only the right amount to your plants. Consider “grasscycling” wherein if you mow 1-2 inches grass, you should not take those clippings away. These are good providers of fertilizers. Lastly, when you find a single or small damage in your plant, let natural predators take care of the problem. Spraying pesticides immediately may worsen the problem. Easy? Yes it is. Your yard will grow without you spending much for it. Again, consider these alternatives provided such as worm composting and you will never ever regret. 1000 Red Wiggler worms for having that perfect organic fertilizer called worm castings. Also known as “black gold” the precious worm poop is nature’s ultimate organic fertilizer that will definitely help condition your soil for healthier, greener and beautiful plants.